Glossy photos in attractive cookbooks show all sorts of types of cookies, from those with unusual flavor combinations to those where appearance may reign supreme. Sure, they’re sometimes good. And it’s fun looking through all the photos and trying out new recipes. But sometimes, a basic chocolate chip cookie is all you need. You can whip up a batch and have them out of the oven in less than 20 minutes. I made these plenty of times during my two years living in a dorm at JMU. I had a whole box of baking supplies that I would haul down to the communal kitchen in the basement of our Quad dorm. I had bags of flour of sugar, boxes of butter and eggs in our mini fridge, plus bowls, measuring cups, and pans. 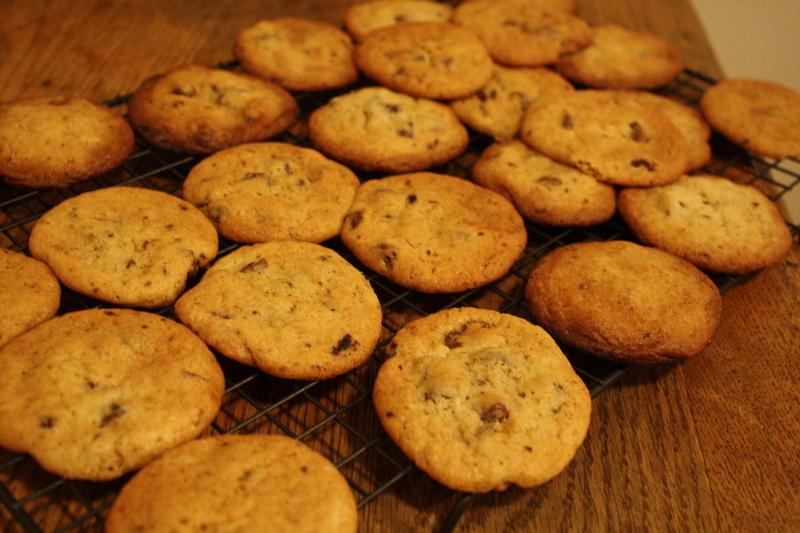 Homemade chocolate chip cookies were always a way to cheer up myself and my friends during stressful times. 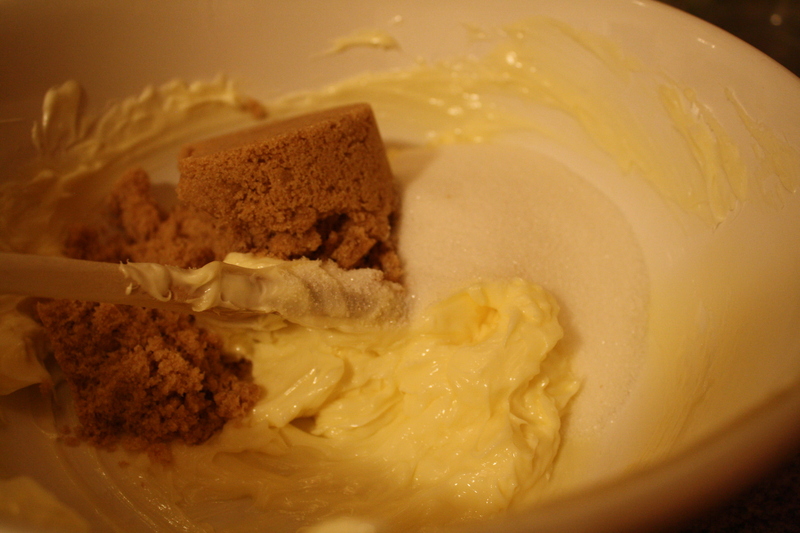 Butter and sugars. All that you really need to be happy, right? Anyways. 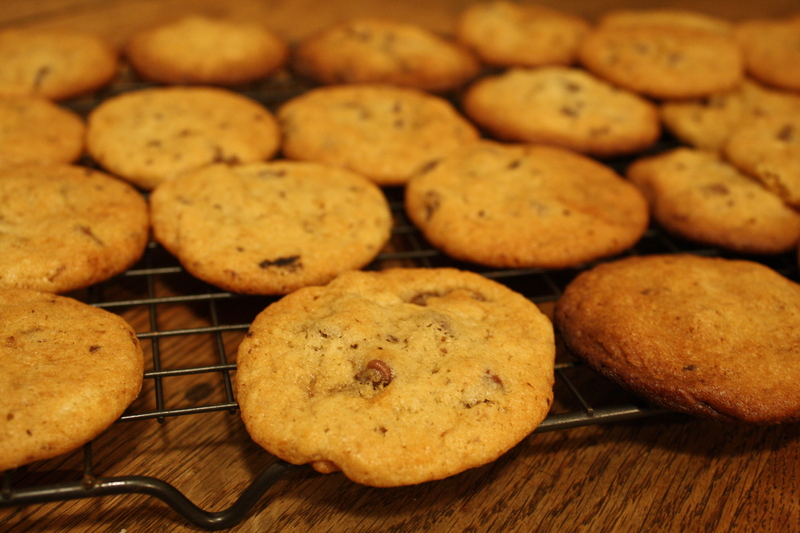 One of my editors has also been asking for simple, plain chocolate chip cookies. “None of that other fancy stuff you’ve been making,” he said. He’s right. Sometimes, there’s nothing like a chocolate chip cookie. I did jazz these up just a little bit with some instant espresso. 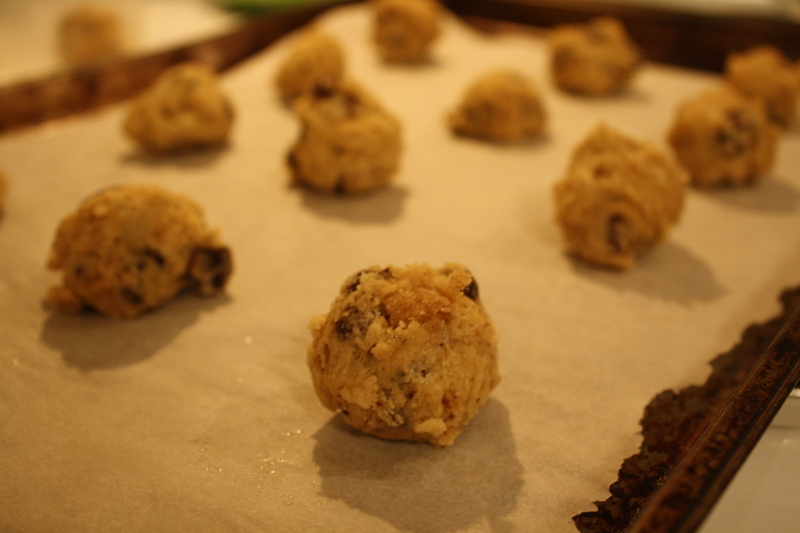 There's just the tiniest hint of coffee flavor in the cookies, which blends well with the chocolate chips. Enjoy!! 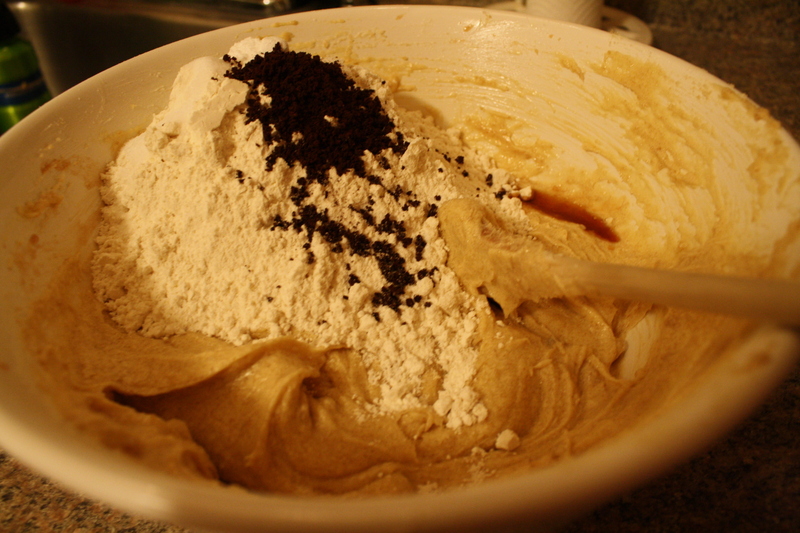 I know you want to go make some cookies now!